Subway has relocated to a newly-constructed building at 146 South Broadway. 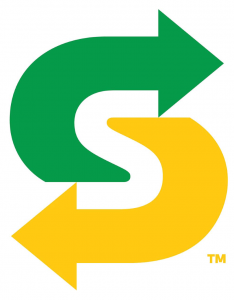 The Subway restaurant formerly located at 170 South Broadway in Saratoga Springs has relocated to a newly-constructed building at 146 South Broadway. The property and building are owned by local Subway franchise owner Russ Faden. He leased the previous location for 10 years. In addition to Subway, the new building has two upstairs apartments. Faden operates 17 Subway locations between Northway exits 9 and 20. He and his wife, Carrie, purchased their first Subway in downtown Saratoga in 2007. At the time, he was a full-time police officer in the Saratoga Springs Police Department. In the years that followed, they opened numerous locations. Approximately four years ago, Faden made the decision to leave the police department after 12 years of service. Although he misses the camaraderie of working with his fellow police officers, he is happy with his decision. “I wanted something where there was unlimited opportunity. The harder you work the more you get. I have always been intrigued by business and real estate and wanted something where there’s no limits,” said Faden. He is interested in building plazas that will house both Subways as well as other businesses. Faden currently owns the property at three of his locations. That number will increase to four after his Glen Falls store moves to a new location later this year. All of his new locations will feature the “Fresh Forward” updated décor that was designed at Subway’s corporate offices. According to Subway, stores that have updated to this new décor have experienced a double digit increase in both sales and traffic. Faden employs approximately 100 full- and part-time employees at his restaurants. “Business is good. Subway has been around a long time and has a great reputation” Faden said.